YouTube, the most powerful search engine in the world, is at your service. From massive hits to rare gems to cult classics, it's all there. 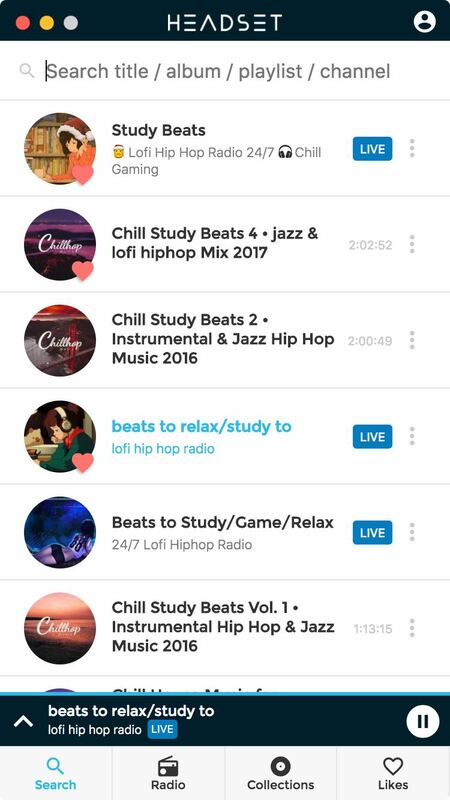 With more content added every minute, it’s more music than you could listen to in a lifetime. Headset is available for Windows, Linux (Debian, Redhat) and macOs. You can even build it from source on a custom environment. Choose between Dark and Light themes. Custom themes to come soon! One click integration with the popular social music service. 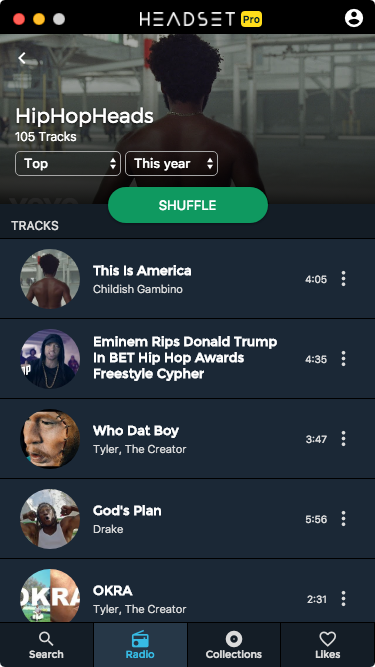 Scrobble all your songs and have the option to edit the information. All data, credentials, and cookies are transmitted over a secure SSL connection, to keep you invisible over the network. To ensure security and stability, a big part of Headset's source is kept open. Using multiple computers? No worries. Simply log in and get back to your music. Discover Music like never before. Reddit takes the entirety of the internet, finds what most interesting and bubbles it to the top. 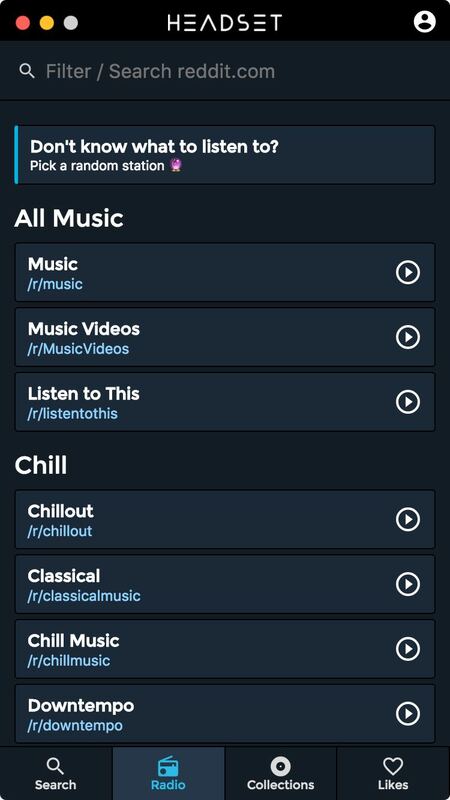 There are hundreds of subreddits for music, focusing on every genre imaginable. The good music gets upvoted to the top and the trash is downvoted to oblivion. Each time you come back you'll find new beats to keep you going. "The amount of music and channels make it so easy to get sucked into the vast volume of music content on YouTube. It's a treat to all music people." "Think of it like an ad-free Spotify, with the world’s biggest music catalogue accessible outside of your web-browser." 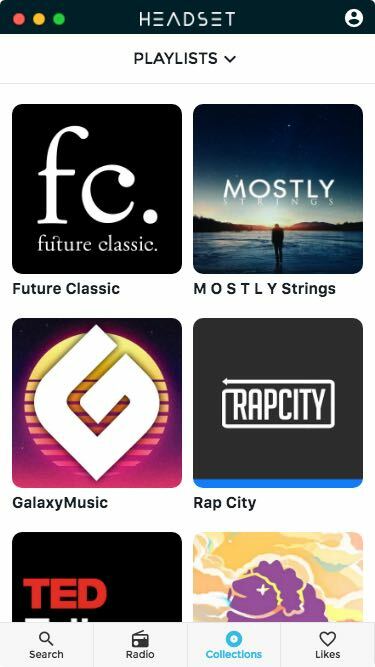 "Headset is a great app for someone who doesn’t want to invest in a paid service like Spotify or Apple Music"
Build a collection of your favorites, so they’re always close at hand. Follow playlists and channels directly from YouTube, keep a "listen later" list of songs, or even capture hours of free MIT courses and TED talks. The possibilities are endless. Discover music like no others, get uninterrupted skips and enhance your listening experience. Let the party begin! 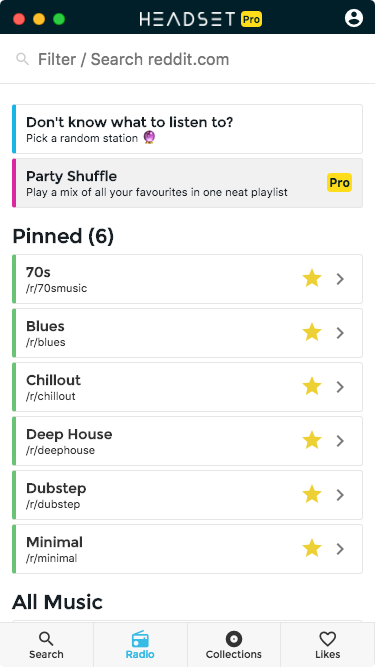 Mix all your favourite radio station and make unique and diverse playlists. Your earbuds (and party guests) will thank you. Dive into any sub - Filter by top songs of the day/week/month/year/all-time! You'll be the first to know what's new, what's popular or controversial. Headset can read the video description and intelligently convert it into digestable and organized queue. Perfect for full albums, concerts and long pieces of content. People across 180 countries have downloaded Headset and played over 5 Million songs. You know you should tweet when an app like @headsetapp is amazing. I switch to this to listen to music and it's great! Been using this app @headsetapp for a few months already. 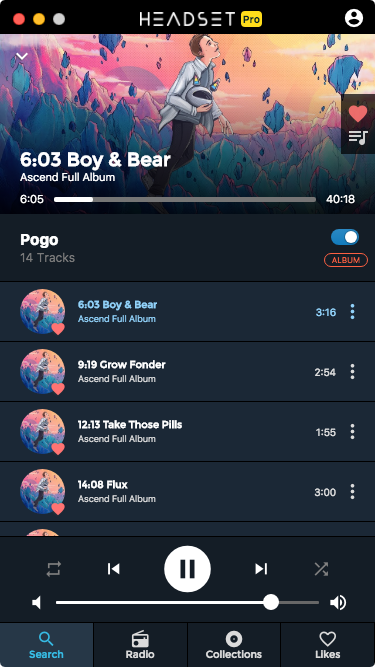 It's really cool music app on Linux. Recommended. Headset is simple music player for busy people everywhere.